Thinking of my office life before discovering Scanbot is enough to make me break out into a cold sweat. Endless documents stacked sky high, clients on the phone looking for me to send over a 50 page contract ASAP, a broken scanner on the fritz AGAIN and me in the middle of it all, ready to have a nervous breakdown. Thanks to Scanbot, this unsettling scene will never be a reality again. Scanbot is without a doubt the best scanning app that I’ve ever gotten my hot little hands on, and believe me, I’ve tried ’em all. What sets Scanbot aside from its rivals is its simplicity, its efficiency and its ability to produce top quality professional scans with the tap of a button. For me, the main attraction of this app was that it enabled me to get rid of the frustrating behemoth of a scanner that used to sit in the corner of my office. The only thing that that machine could do efficiently was raise my blood pressure! In contrast, Scanbot downloads nicely onto your phone or tablet meaning your scan doesn’t get impeded by jammed paper or faulty machines. Using Scanbot is painfully easy. 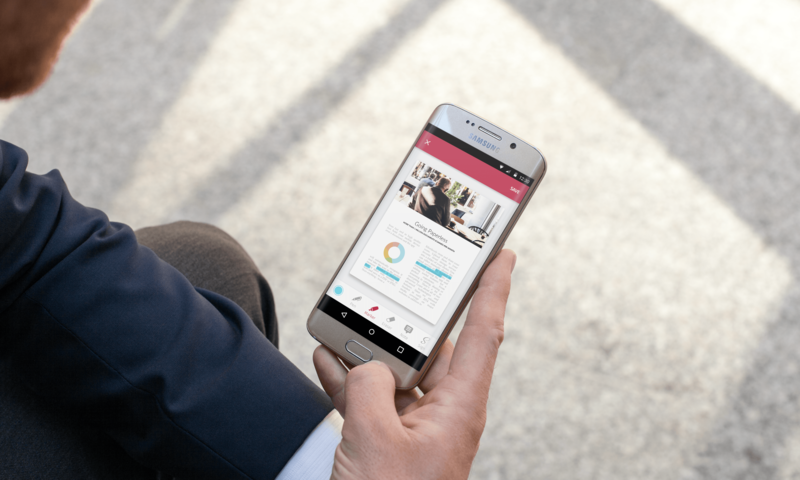 Simply open the app, point, capture and voilá, you’ve got a perfect scan of your document ready to be uploaded straight to your cloud or sent off to a client. If you have any old fashioned luddite contacts, don’t worry, you can even fax over your scans to any number with ease. The on screen prompts on the scan screen make sure that you produce high quality scans each time you use the app. Sure, it may take a small bit longer to capture than other scanning apps but the result is a much clearer, more consistent high quality scan. As I needed to be able to edit, sign and annotate my documents after they were scanned, I opted to complete a once off purchase of €7.99 to get Scanbot Pro on my iPhone. This purchase meant that I got accurate OCR and full editing control of my scans that you’d usually only get with PDF management programmes. If you don’t feel like parting with your hard earned cash, you can still use Scanbot to create unlimited high quality scans for free, just without the editing capabilities. 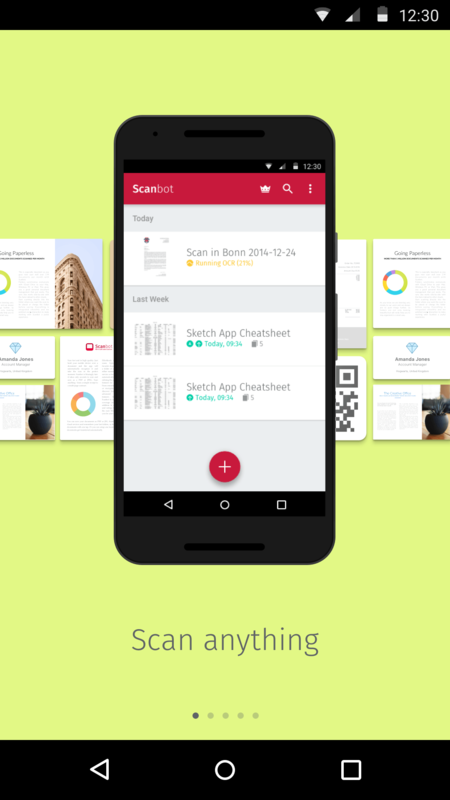 Complete your quest to go paperless by heading to the App Store or Google Play and downloading Scanbot today!